“My landing pages aren’t converting”, “Why is the bounce rate so high for my landing page?”, “Is the PPC campaign a total botch?” — have you ever heard yourself asking these questions in your head? If you run (or have previously run) a pay-per-click campaign, the chances are that you have faced such a quandary more than once and are perhaps facing one as you read this post. 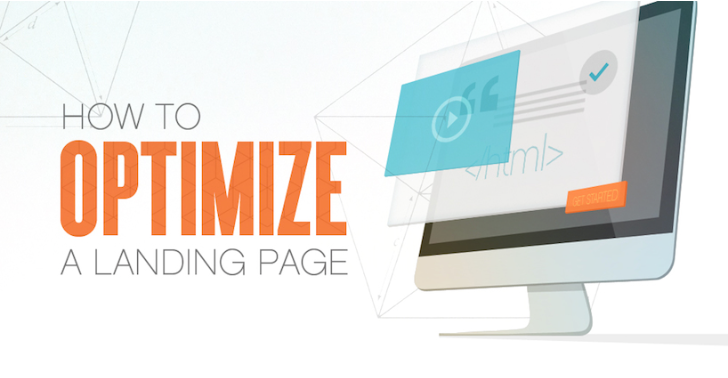 Admit it — optimizing landing pages is tricky. They may not ask for it but landing pages demand a lot more attention than what most digital marketers allot. So, if your landing pages are not converting it’s not really the fault of your customers as much as it is a fault of your page. Your customers allot you, unfortunately, only a few seconds to make an impression on them through the landing page and if it can’t excite them, don’t blame them for choosing otherwise. Unfortunately algorithms and mathematical equations have failed to make any headway into devising a fail-safe method for creating perfect click-through pages. But there are a few tweaking touches you, as a PPC campaigner, can consider looking at for making sure at least your efforts are impeccable. 1. Make sure your copy is attractive and actionable. A landing page’s headline is just like any other promotional headline: if it is not exciting enough it will not entice people to take any action. The trick is to communicate the objective value you are trying to offer through your campaign. Think for a second, which of the following two reads better: “Free 7-day Trial Pack: Get your software copy Today” or “Software trial pack”. The former one noticeably underlines the ‘7-day free trial’ value proposition and is clearly the more eye catching one. Additionally, ensure that the copy on a landing page matches the copy from the originating source. Use identical visual cues across the source as well as the page to establish familiarity and avoid any scope for customer dissonance. 2. Let the length of the copy be “just enough”. There are no hard and fast rules regarding the length of a copy but the thumb rule for the same is that the copy should be ‘informative enough’ that readers can scan through the stretch of the copy quickly and easily. Ideally, the headline and sub-heading should seal the deal but just in case you think you need to offer more to the customers then offer just enough to remain informative but not boring and tedious. 3. Use relevant pictures wherever possible and position them right: ‘Pictures and colours appeal more than the text’ is a truth universally accepted. So put this avowal into action when designing your landing page. Here’s the general thumb rule about it: Choose a soothing colour scheme (to mellow one’s apprehension about the landing page), incorporate at least one relevant image on a landing page and it should be positioned in the direction of the supporting text/form. People are psychologically more groomed to follow the line of sight of others than pay attention to someone/something looking directly at them. Also, ensure that you provide relevant text with the image because often it happens that when a landing page is viewed on some mobile device the image(s) present in it may/may not load properly. People typically do not browse through a landing page like they would a book. In case of the former, an eye shifts quickly from one attractive element to the other and these elements help enforce the final decision of the user of the page. Therefore, when designing a page, focus on two (or at most three) key things on your landing page. This can be, say, the image of the product you are selling and a Call-to-Action button, or the product image and a Facebook share button. This way the user is automatically tuned into the direction of key items in your landing page and all other items of relatively lesser importance are dialled down. PS: You don’t have to be subtle here. If need be, feel free to use flashy arrows and finger-pointers to directly indicate the thing of prime importance in your landing page. 5. Try incorporating trust icons to reduce user dissonance. As noted by most digital marketers today, one of the most assuring ways of customer conversion is through inclusion of a trust icon or “point of assurance” symbol. When something is “verified by a reliable entity”, it reduces user dissonance by nearly half. 6. Dynamic items such as Live Chat and Videos are also good trust builders. Here’s an example: instead of simply fitting in textual pieces of user testimonials or extensive pieces on “how it works”, put them all in a video. It’s much more fun, gives room to be creative and is far more engaging than plain text. 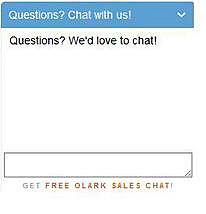 Similarly, adding a live chat option (if operationally feasible) is a good way to raise your user conversion quotient. However, pay attention to when you are scheduling live chats. No one likes to see the live chat option being “unavailable” at the said time slots. While these 6 landing page hacks are not exhaustive or bounce-proof they are good measures to keep in mind next time you are working on building a landing page for your product or service. At the heart of it all, remember that the goal of any landing page is to render a positive experience at the very least. At its very best, a landing page has the capacity to deliver consistent leads if done right but start by focusing, first, on experience building and leads will soon follow. Getting the ‘feel’ of a landing page right is what the game is all about. Remember the following mnemonic: SCEAM — Simple, Clear, Exciting, Action-oriented and Memorable. As long your page can vouch complete adherence to these 5 essentials, the chances of success are far greater than they would be otherwise.